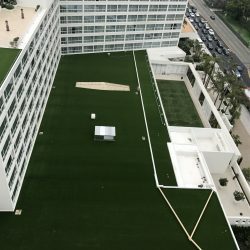 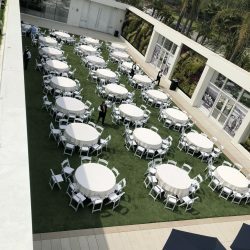 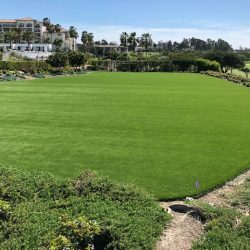 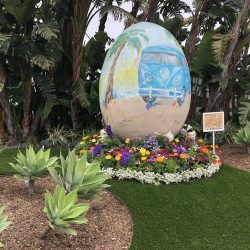 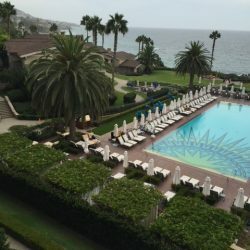 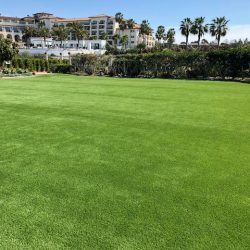 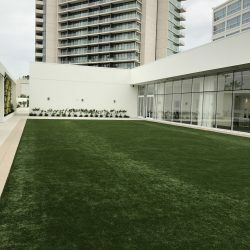 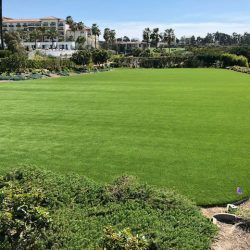 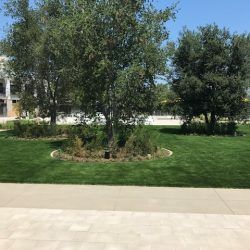 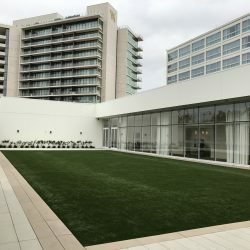 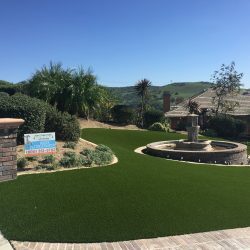 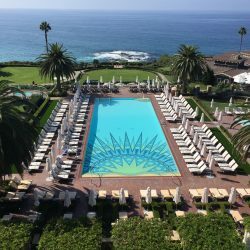 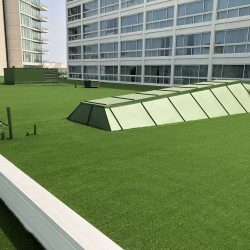 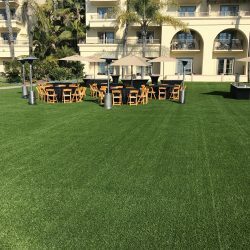 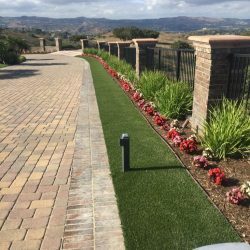 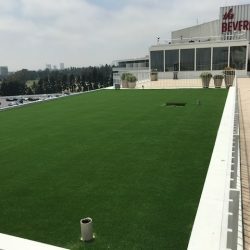 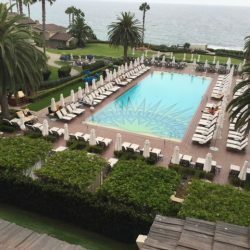 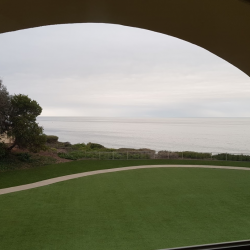 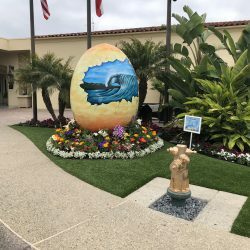 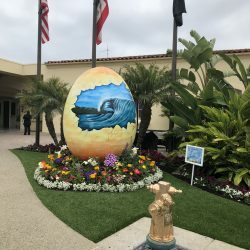 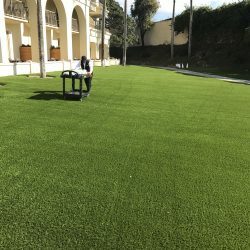 Synthetic Lawns Are Getting More Eco-Friendly | Five Star Turf, Inc.
Lawns are a waste of water and space for the most part. 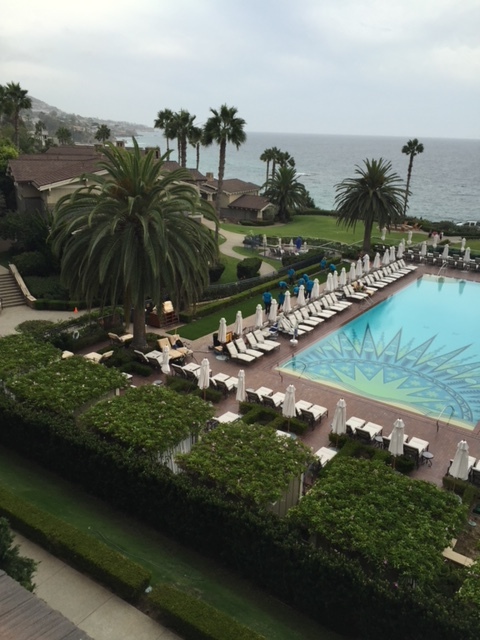 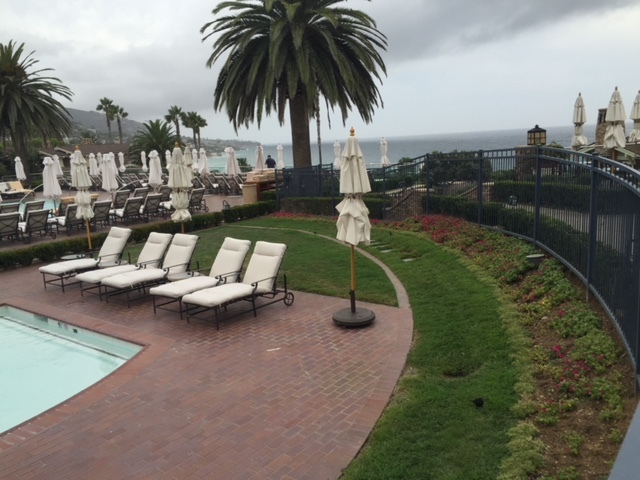 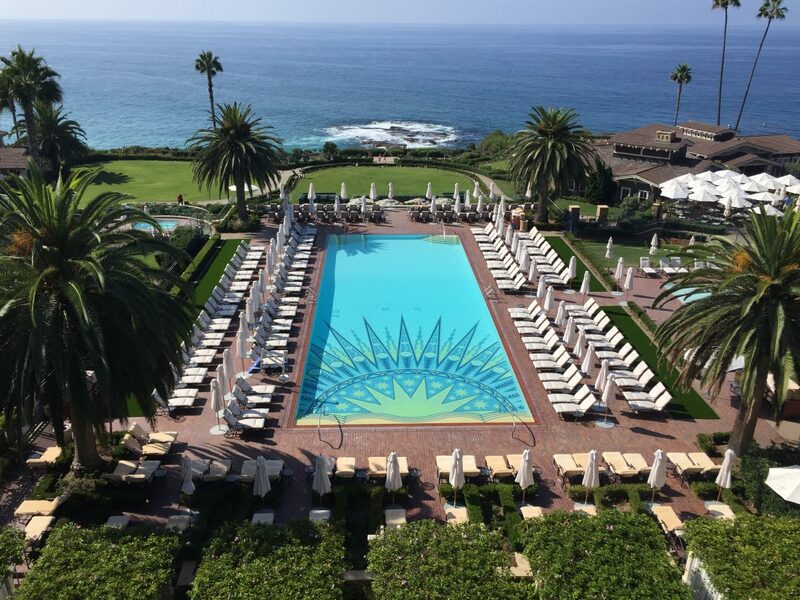 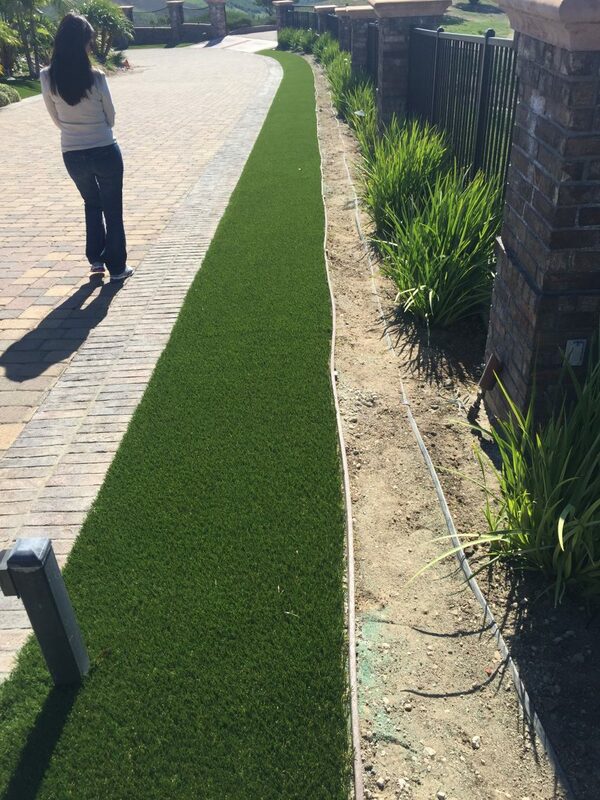 And when living in drought stricken places like California, lawns seem even more wasteful. 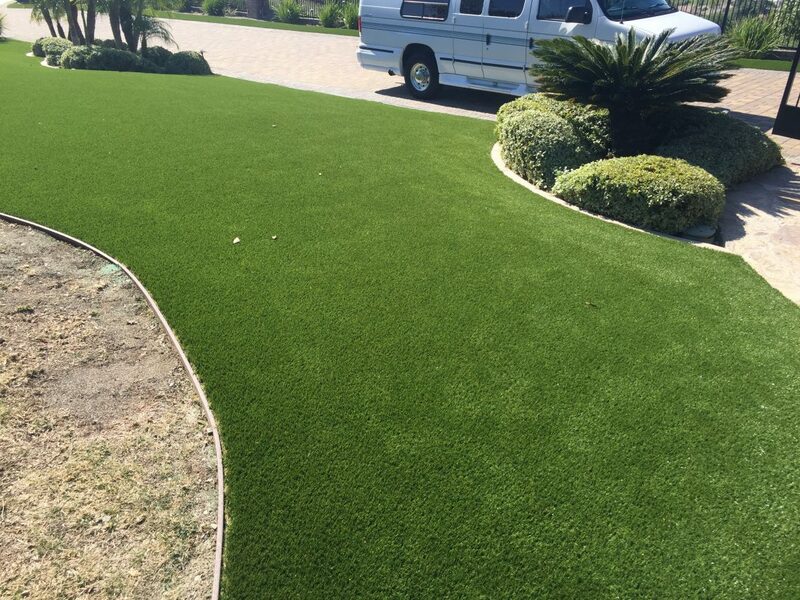 However, they’re attractive, a soft surface to play on, and keep dust down. 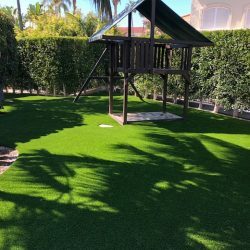 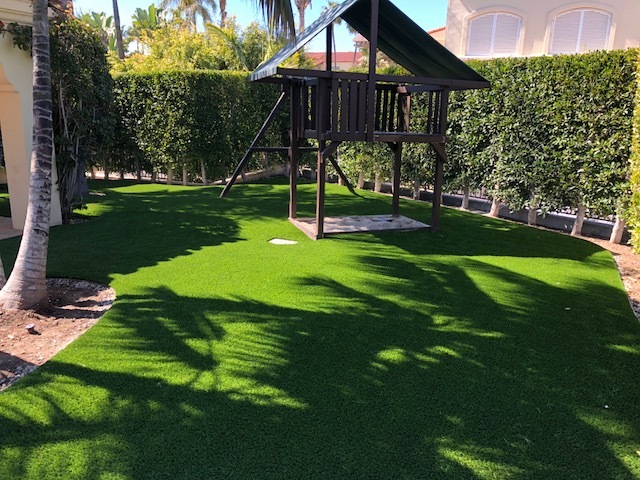 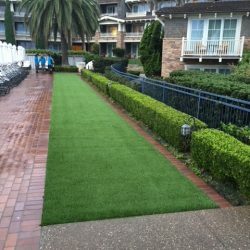 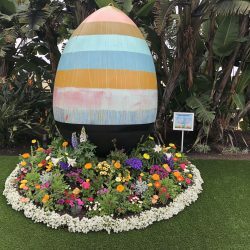 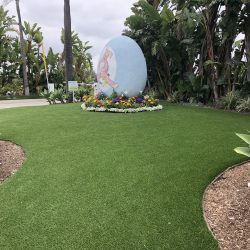 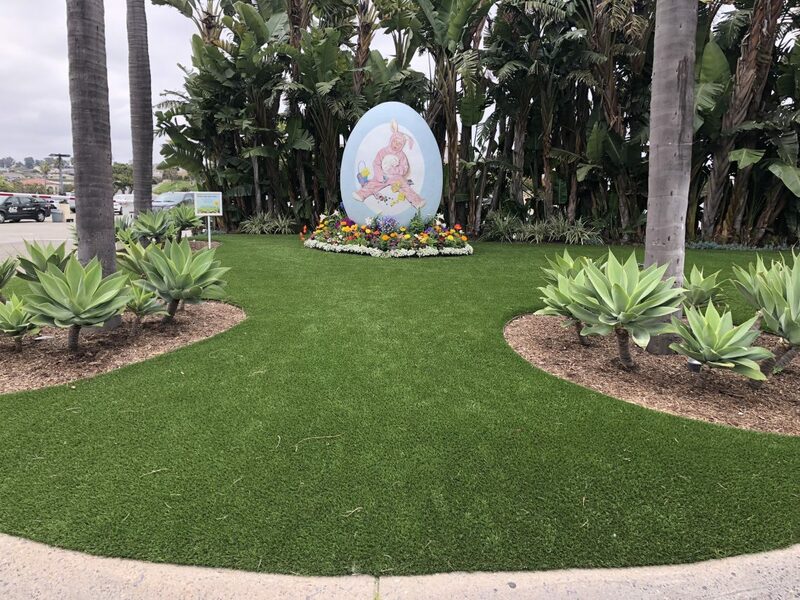 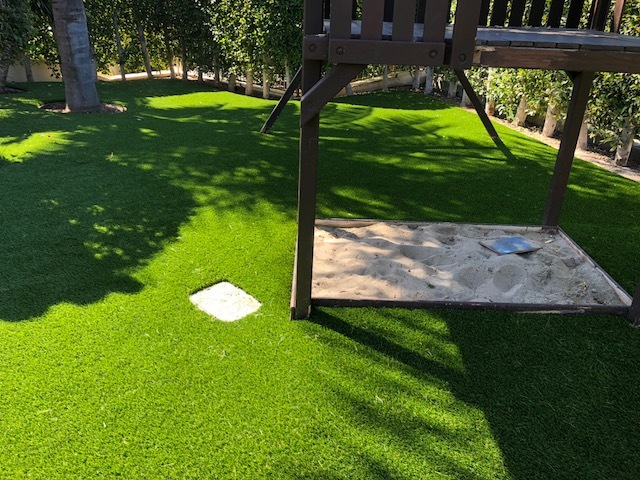 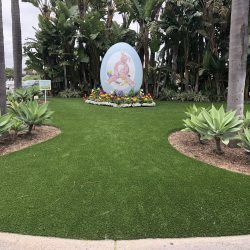 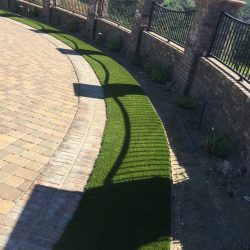 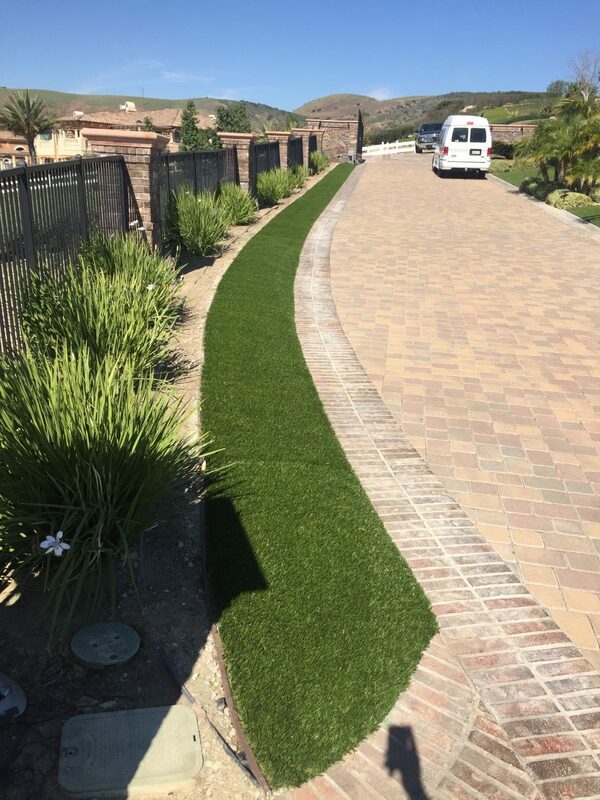 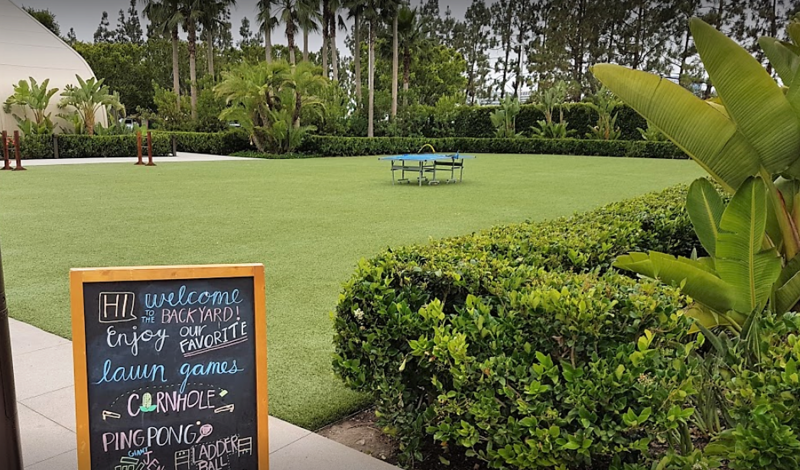 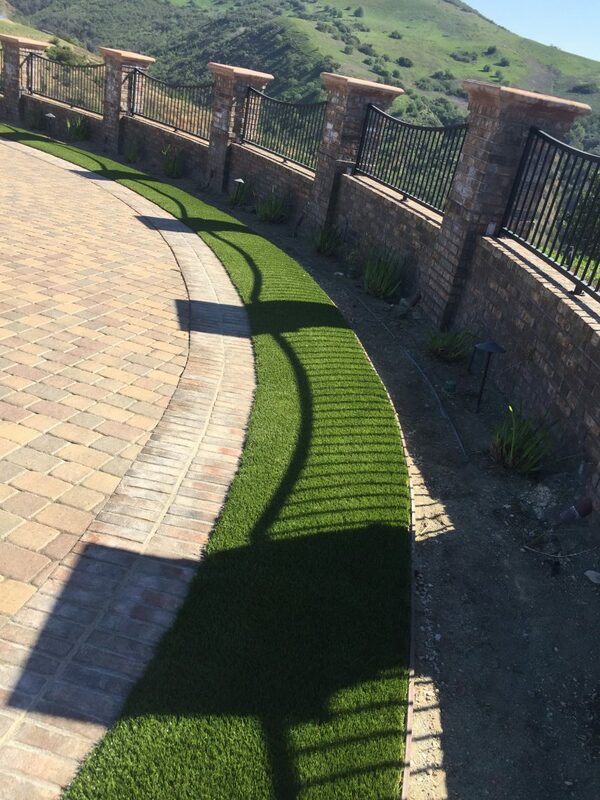 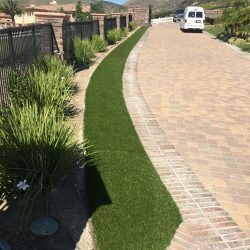 To try and provide the good parts of a lawn without the bad, many turf companies have created a very realistic fake grass. 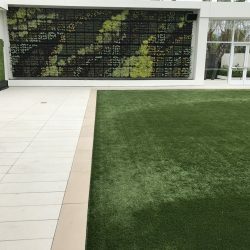 Not just one, but twelve versions that are specific to various user needs. 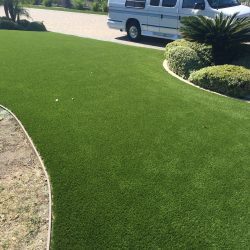 Visions of Astroturf, neon green hard surfaces, wasted petroleum and carbon emissions are just a few of the bi products of manufacturing such a product. 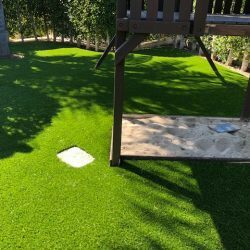 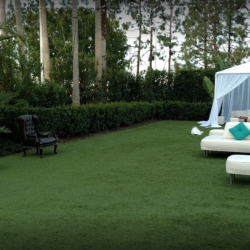 However many fake grass lawns are actually very realistic looking, and feel very soft. 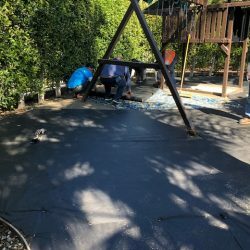 It has an antimicrobial webbing on the back to keep germs at bay. 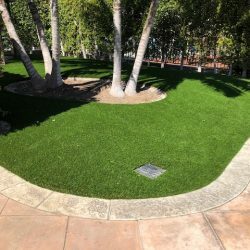 Turns out that the grass blades are made from recycled plastics used for water bottles and the like, the padding between the blades and webbing is soy-based, and the webbing itself if 100% post-industrial recycled plastics. 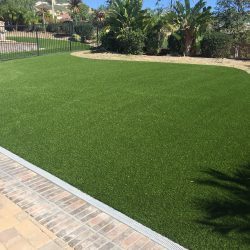 In total, about 75% of the product is comprised of recycled materials, and at the end of its very long life, it is 100% recyclable. 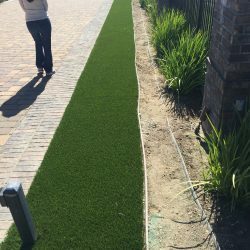 The grasses require very little maintenance, and can be used for anything from dog runs to playgrounds. 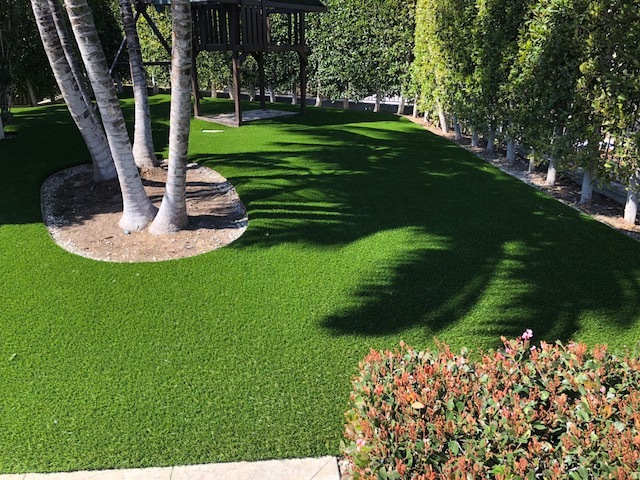 Fake lawns have typically been green only in color, but it looks like it’s getting a whole lot better of an option. 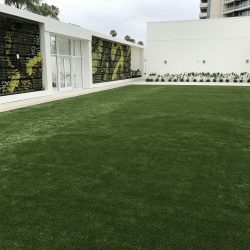 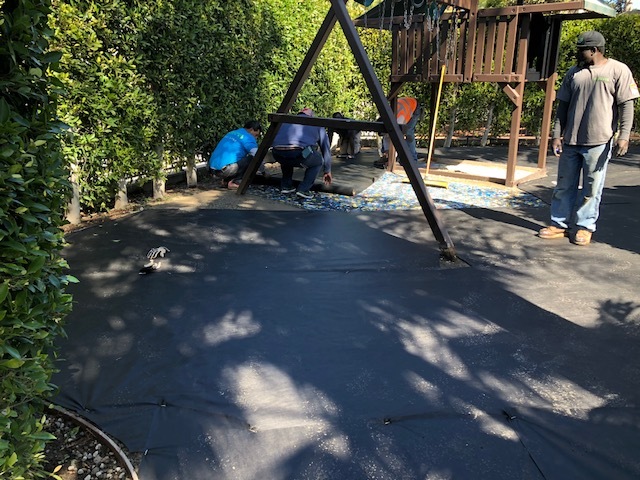 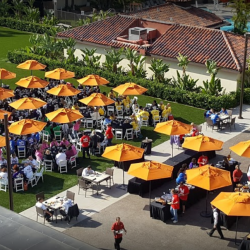 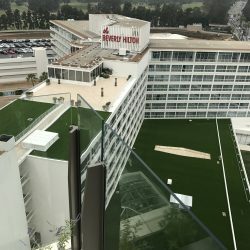 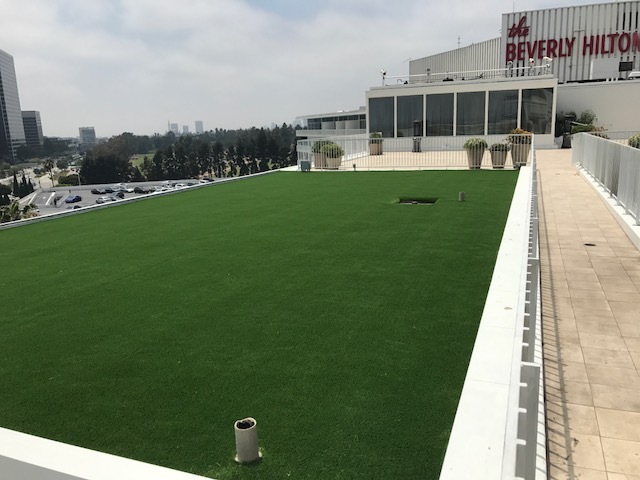 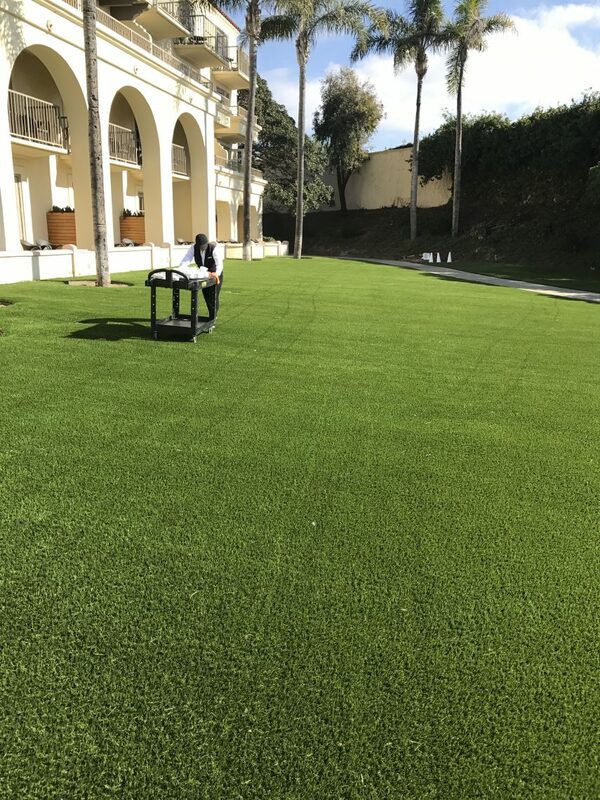 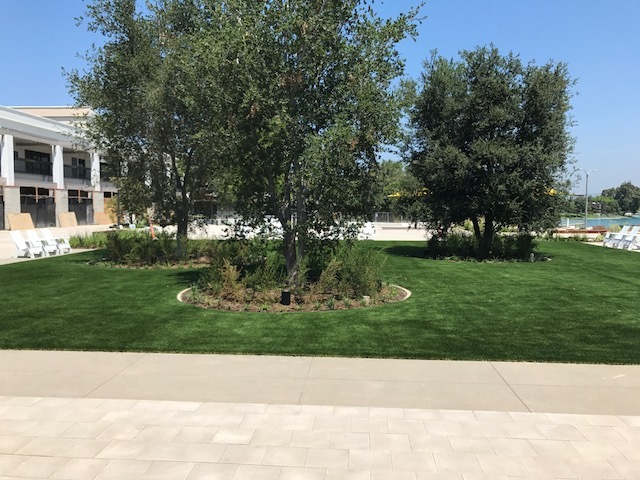 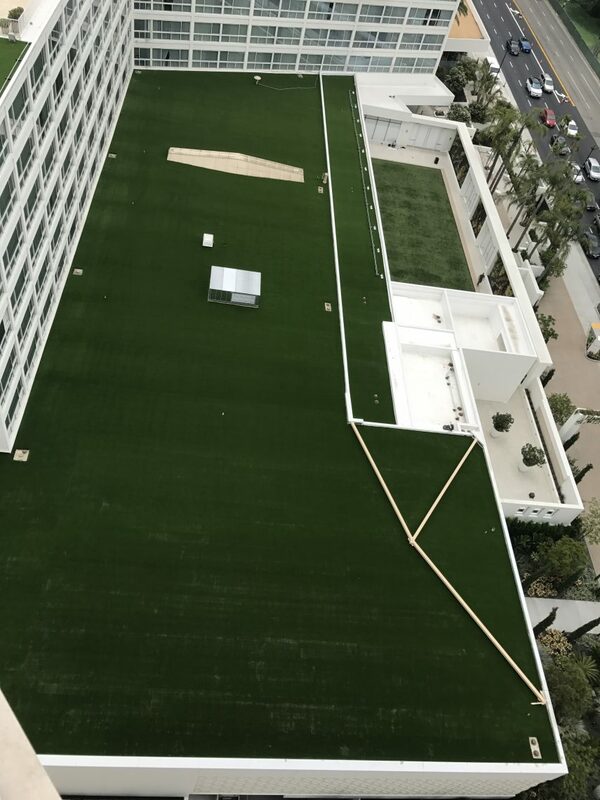 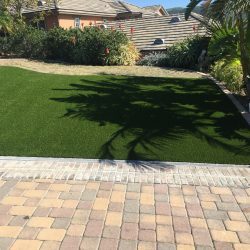 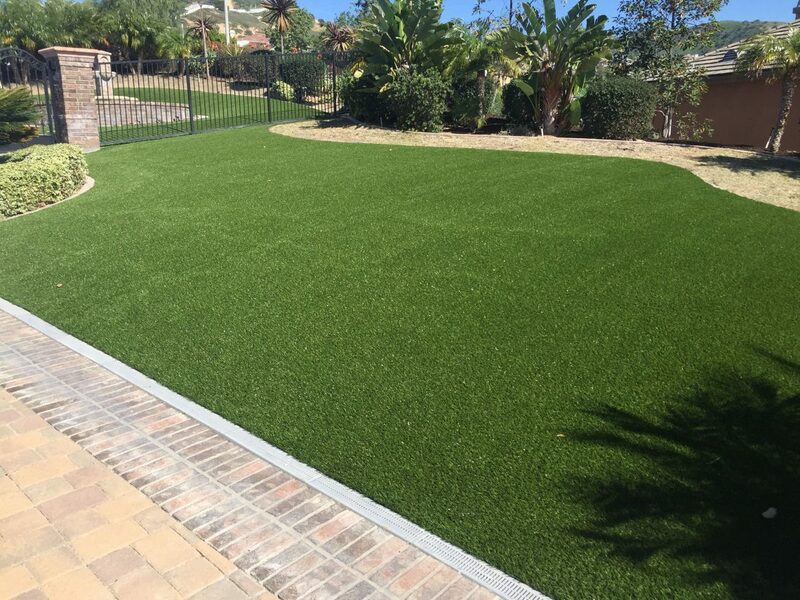 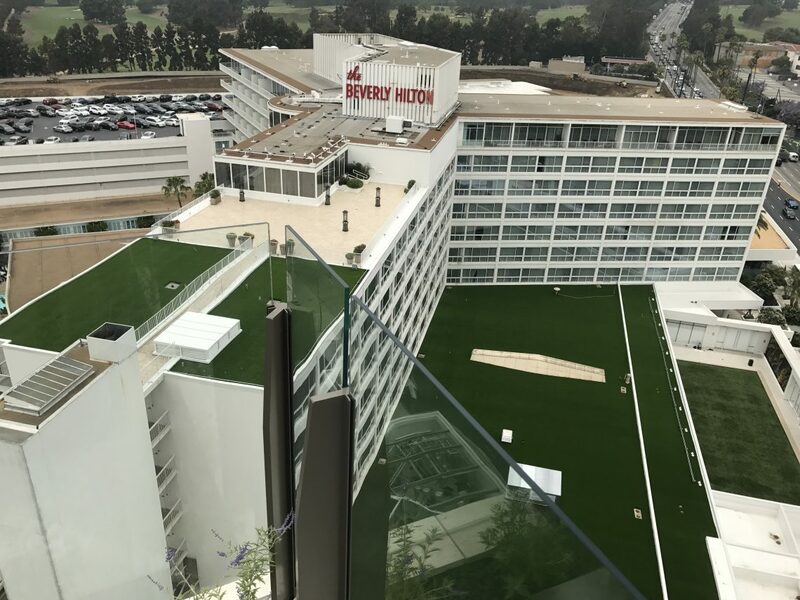 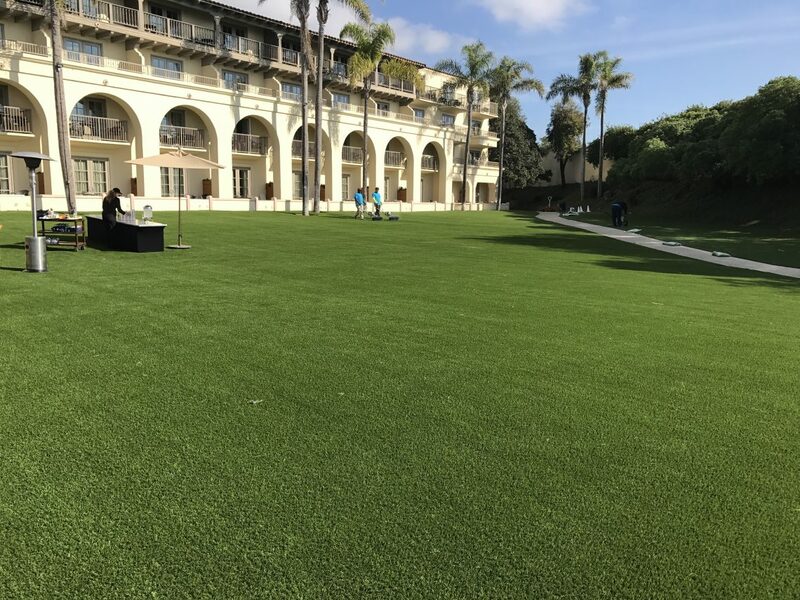 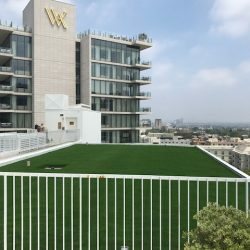 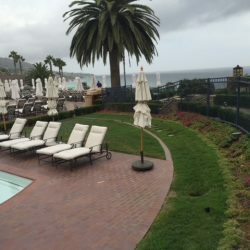 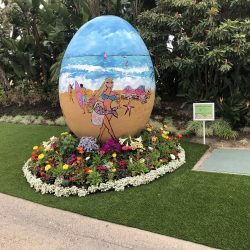 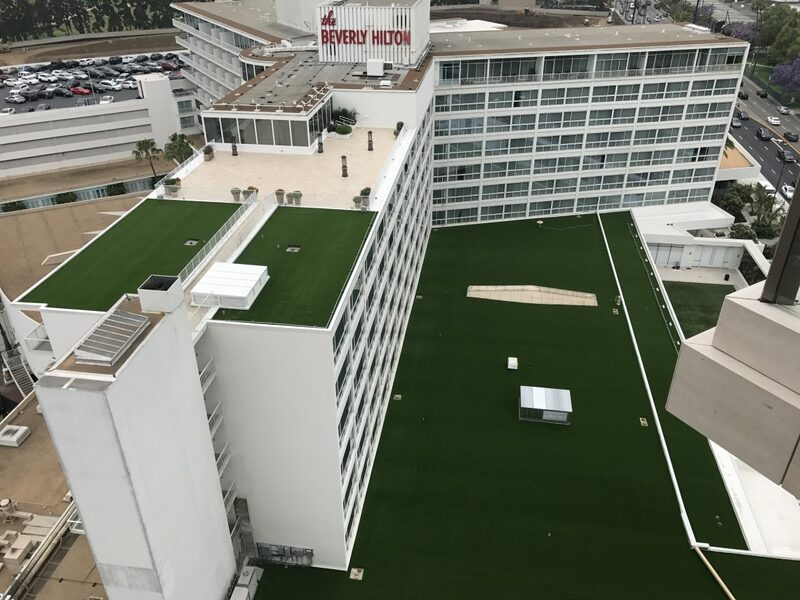 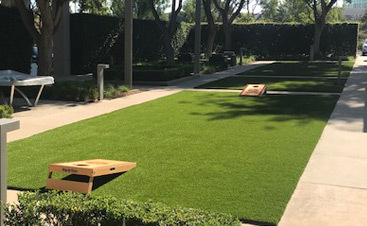 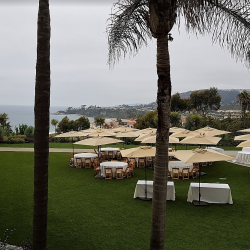 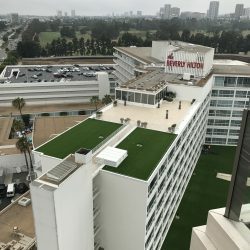 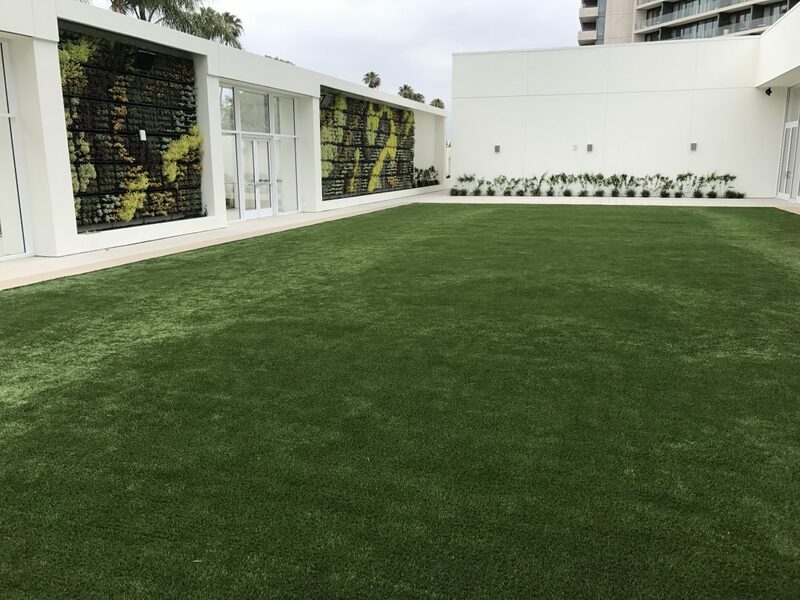 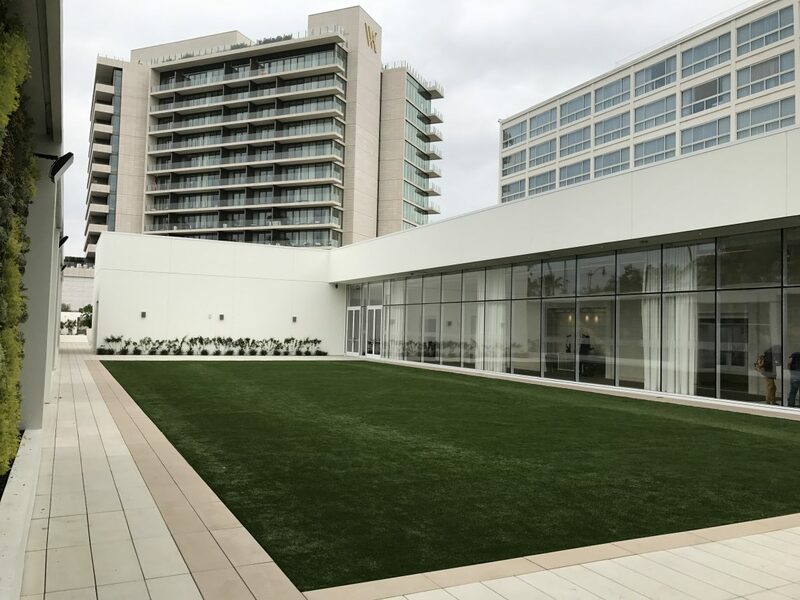 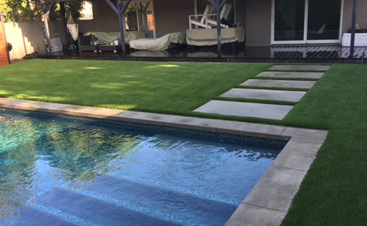 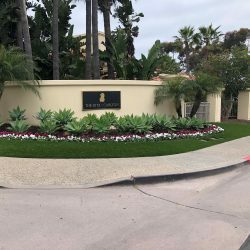 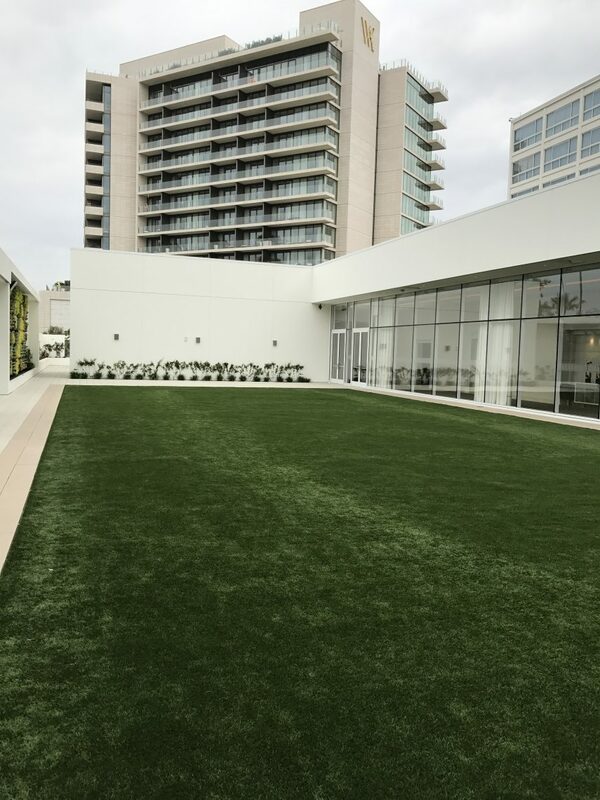 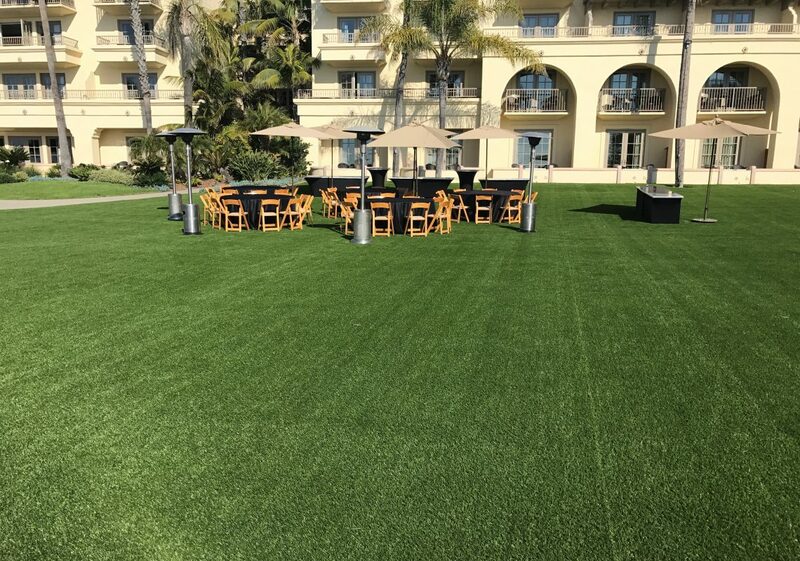 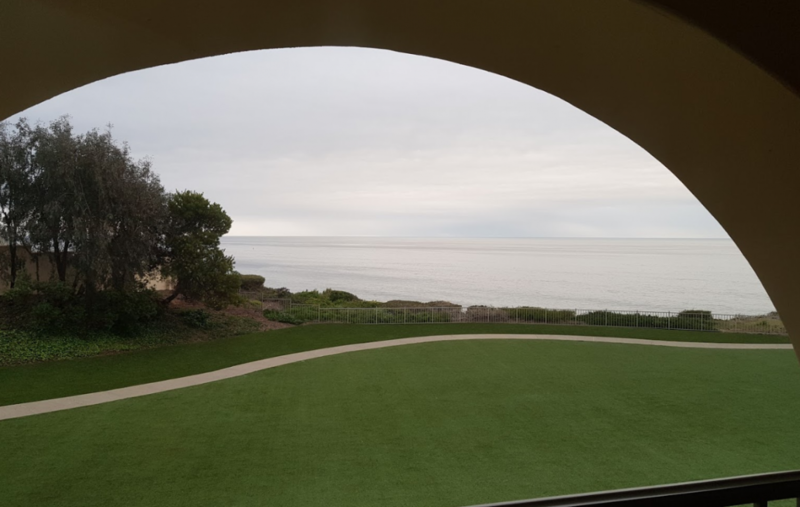 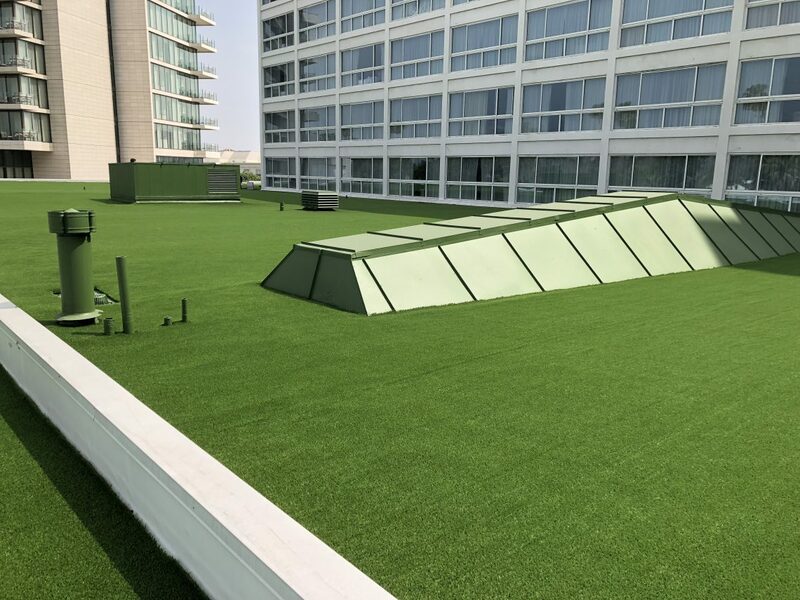 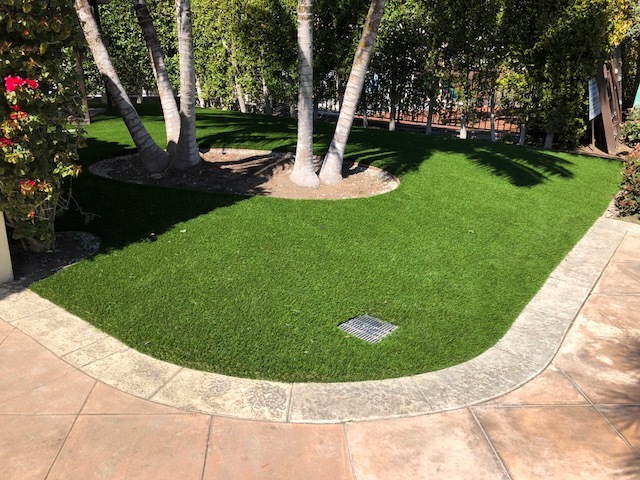 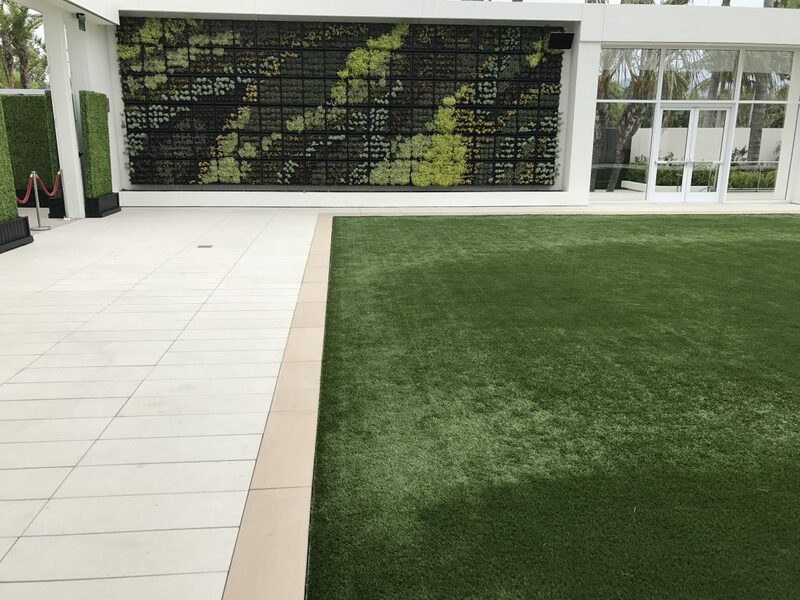 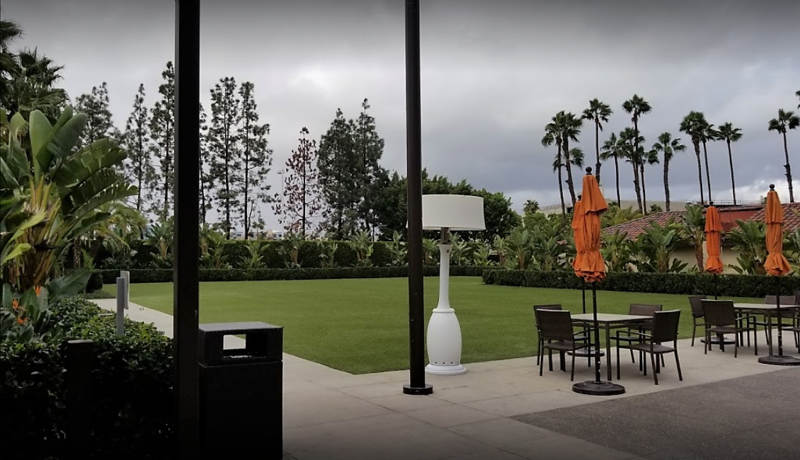 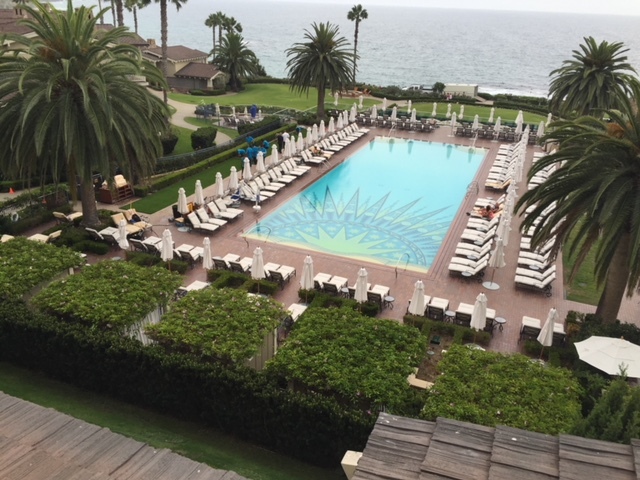 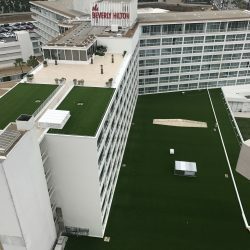 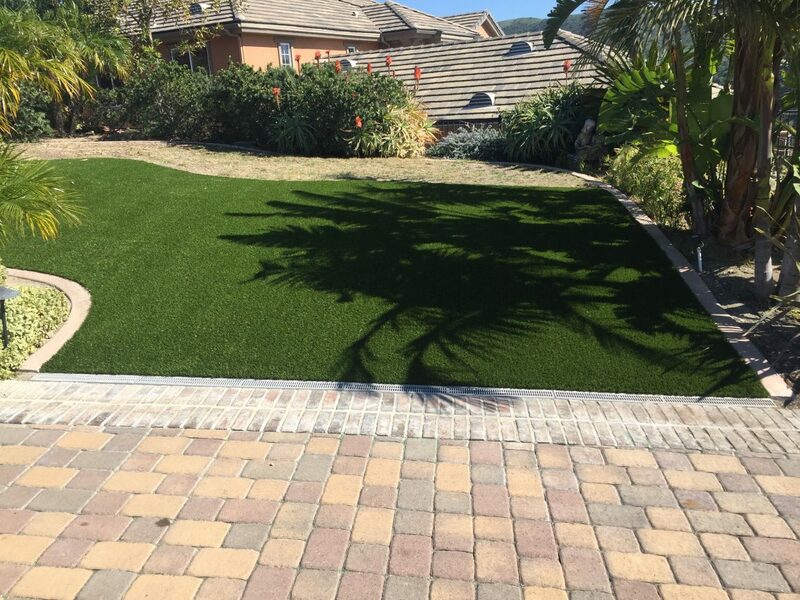 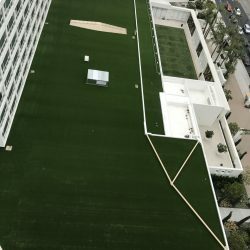 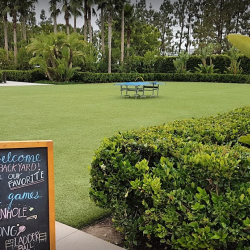 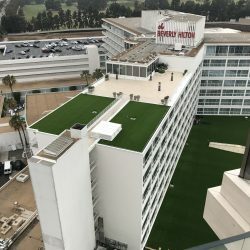 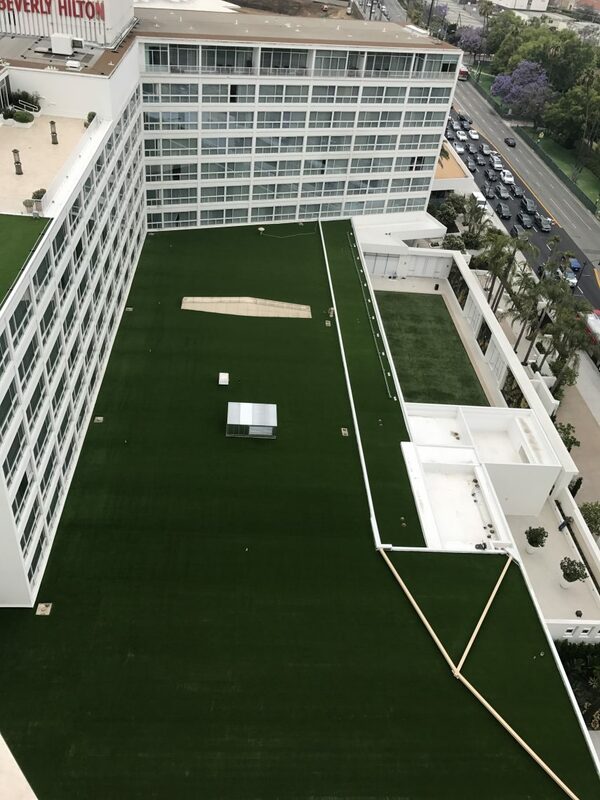 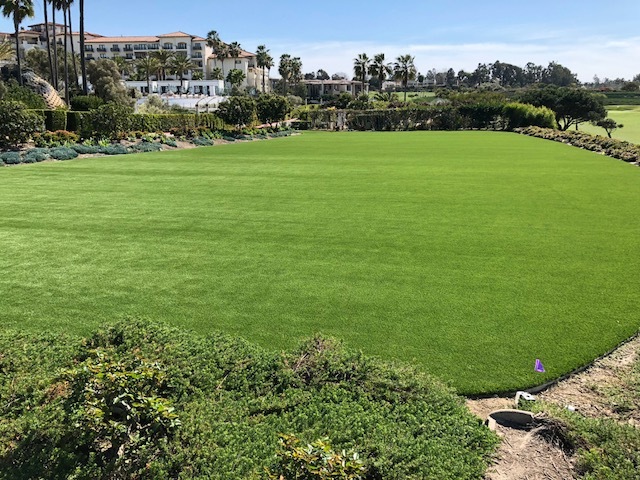 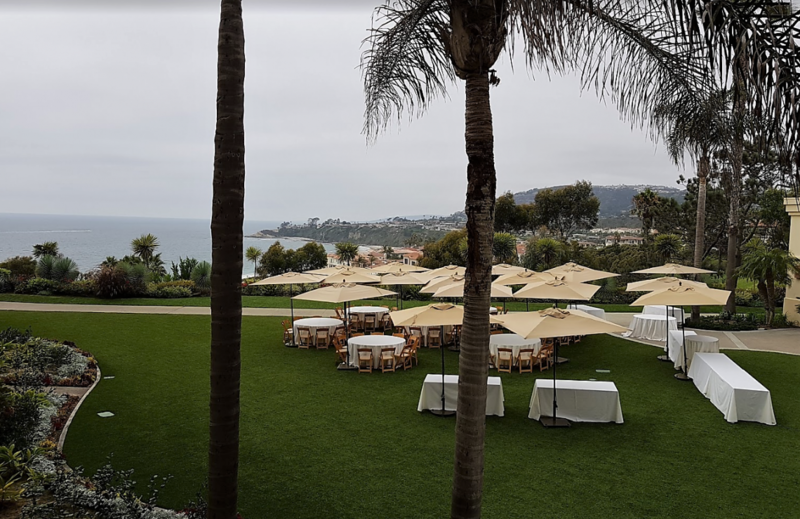 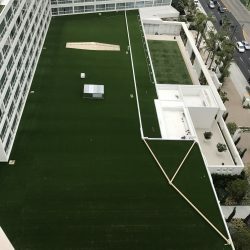 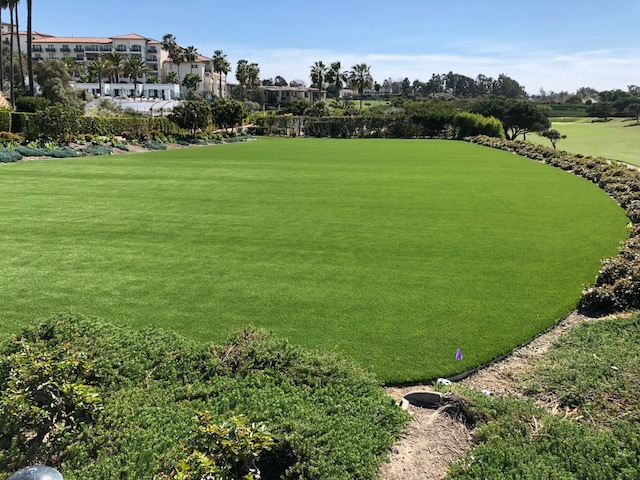 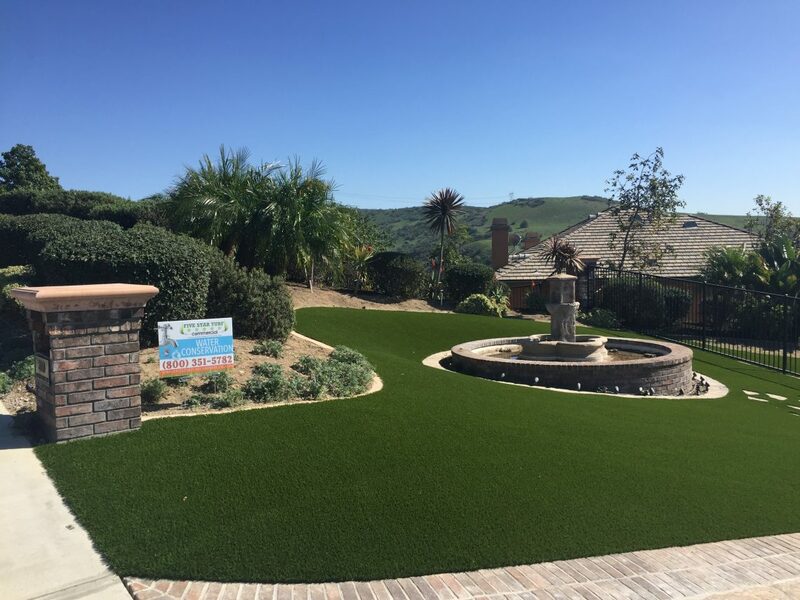 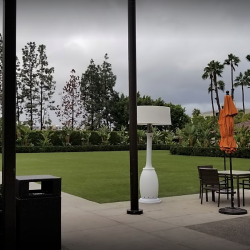 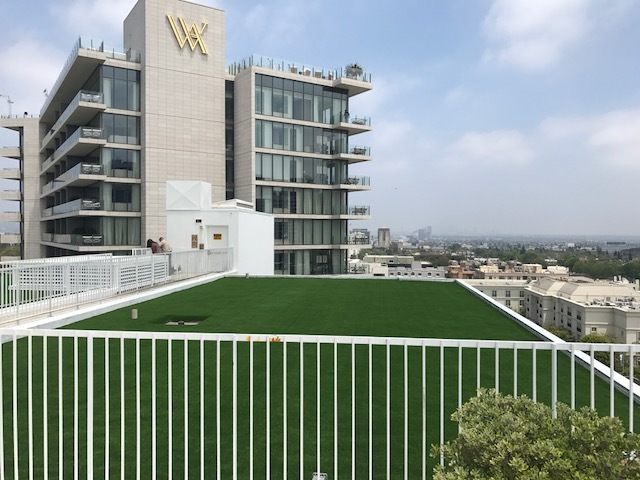 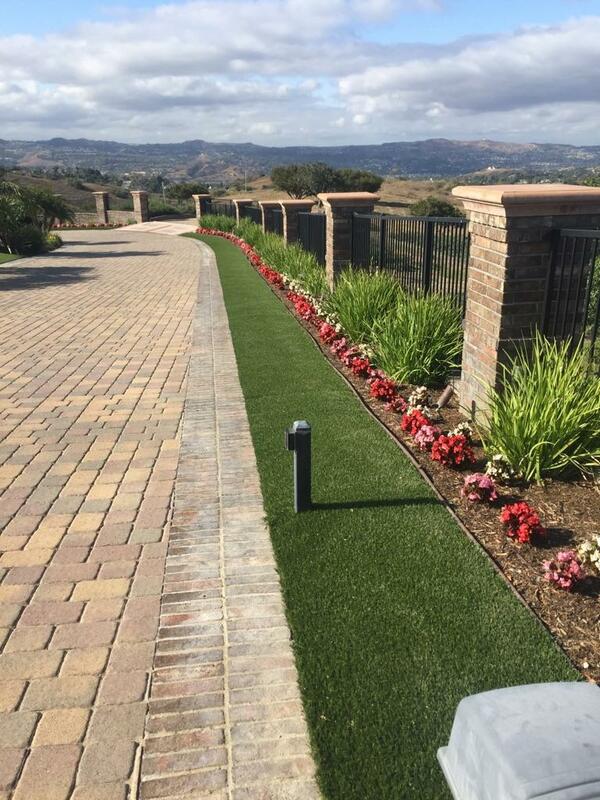 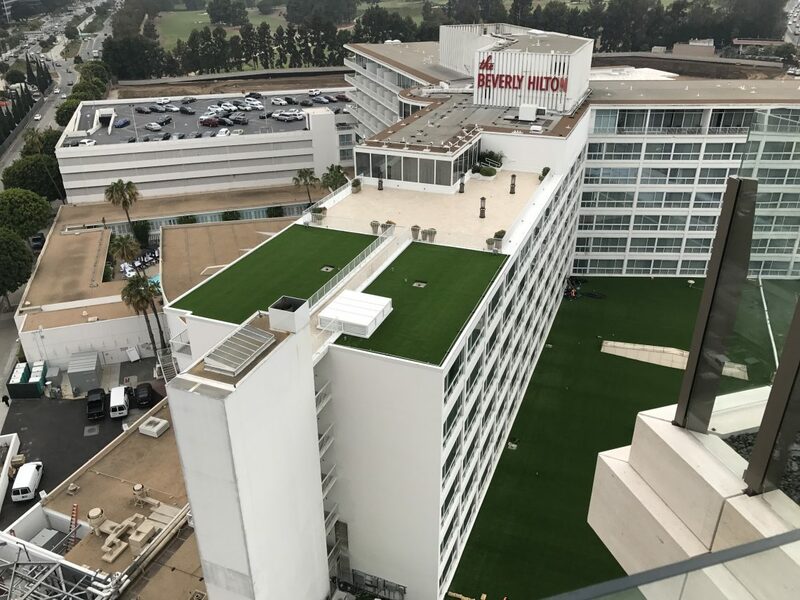 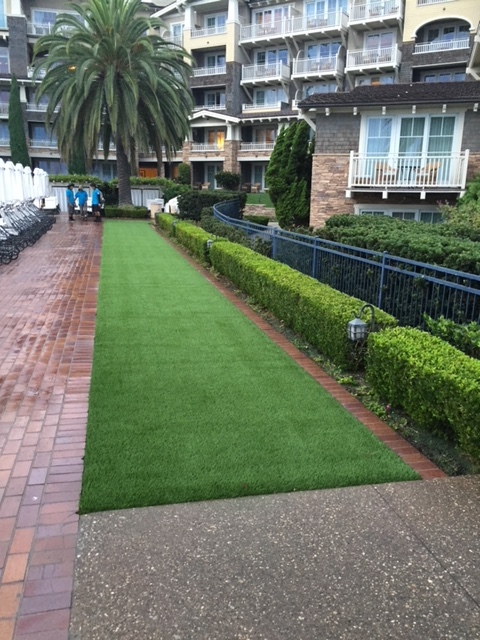 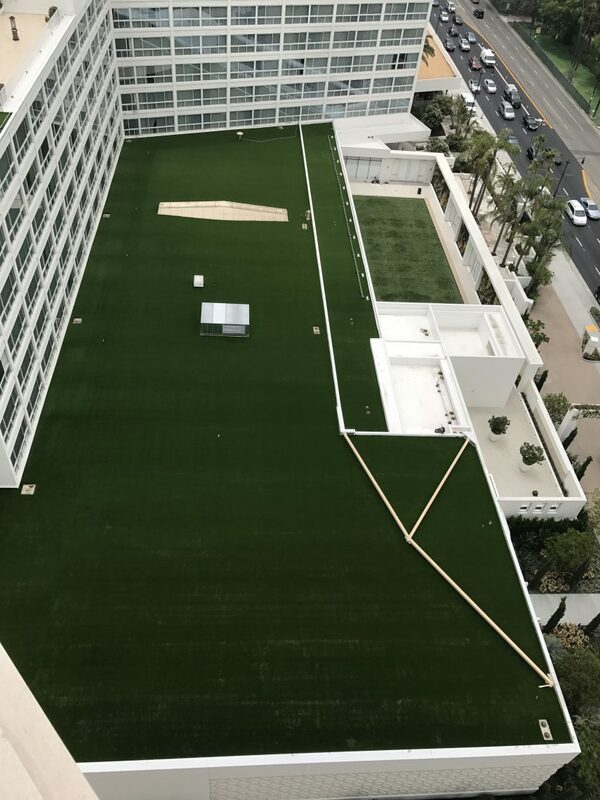 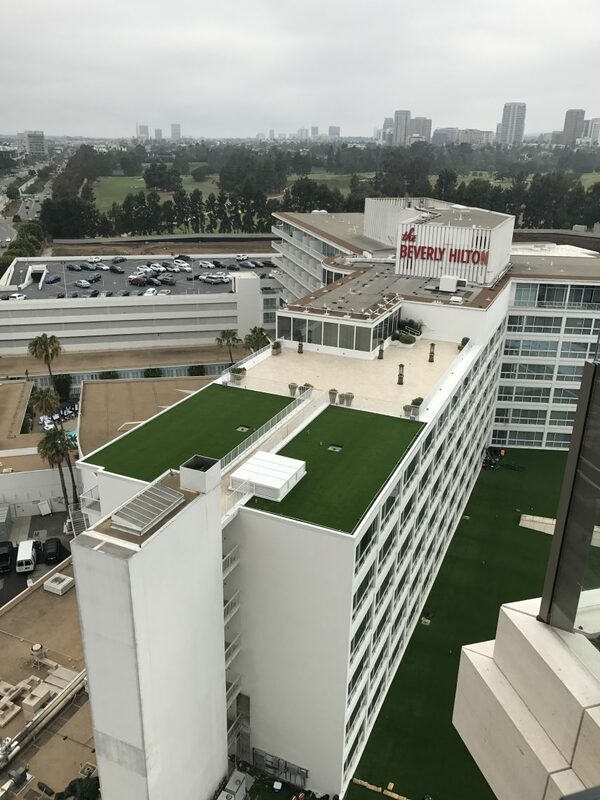 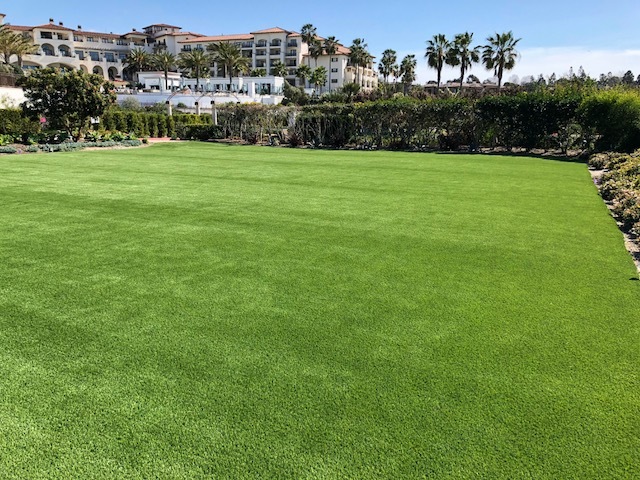 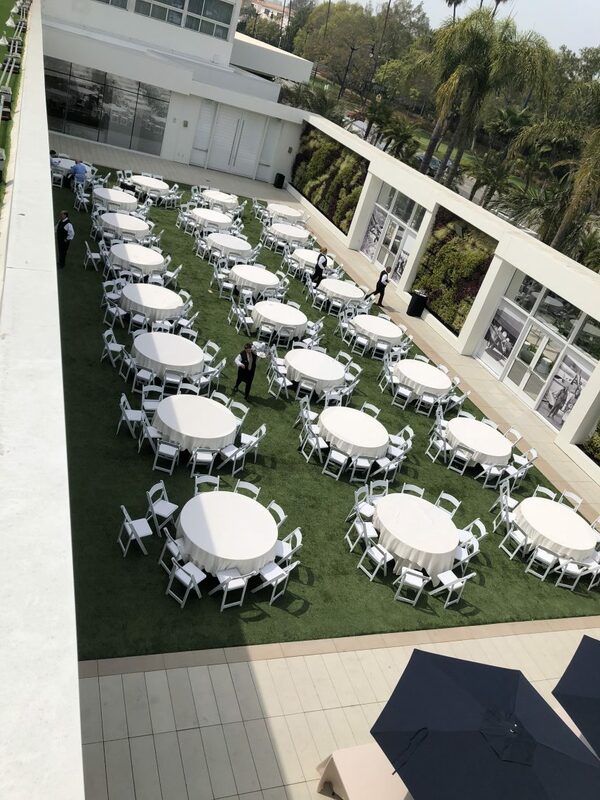 With the drought and other environmental benefits that synthetic turf provides turf could become the green landscaping of choice. 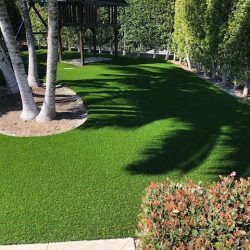 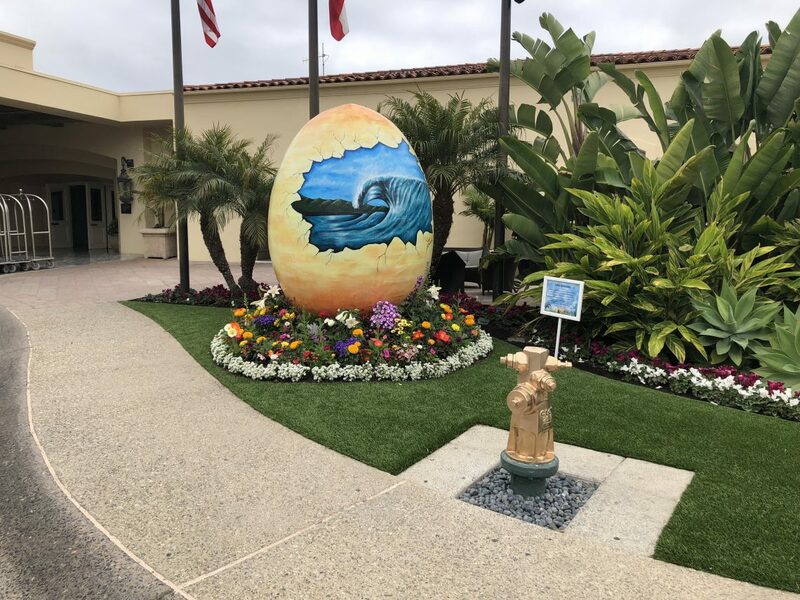 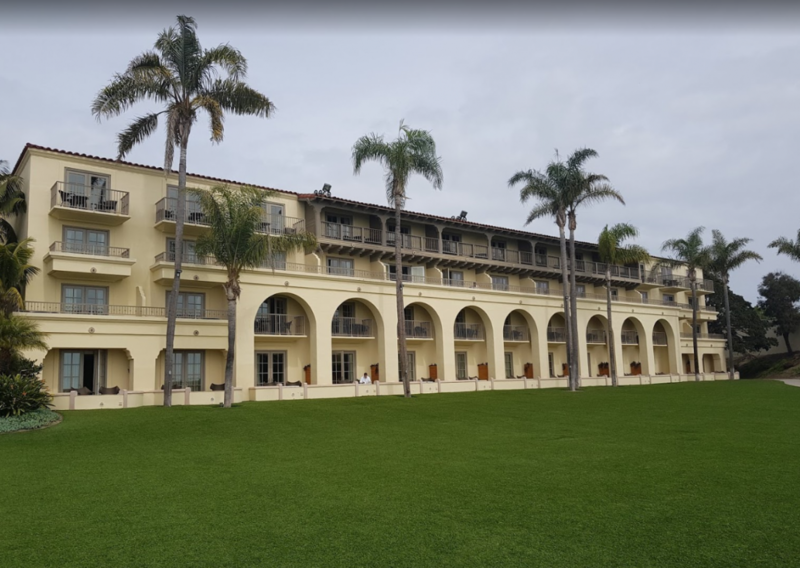 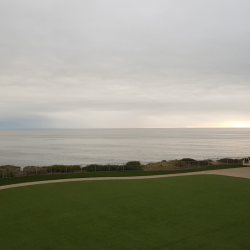 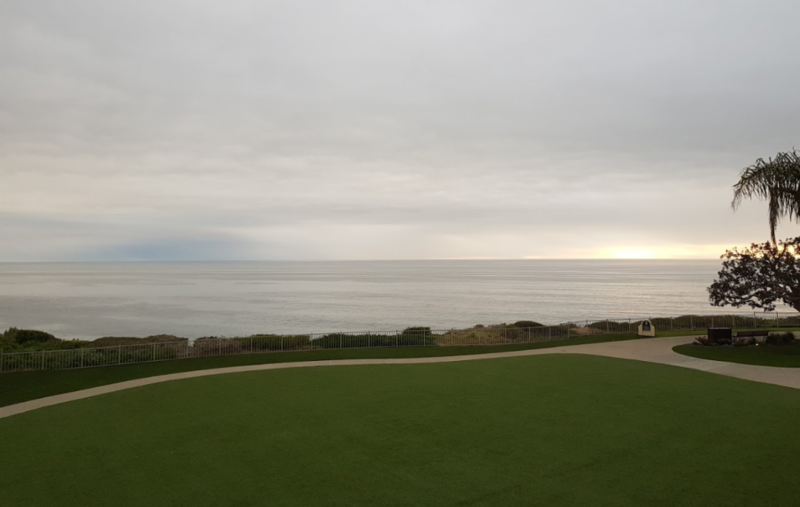 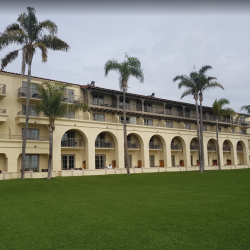 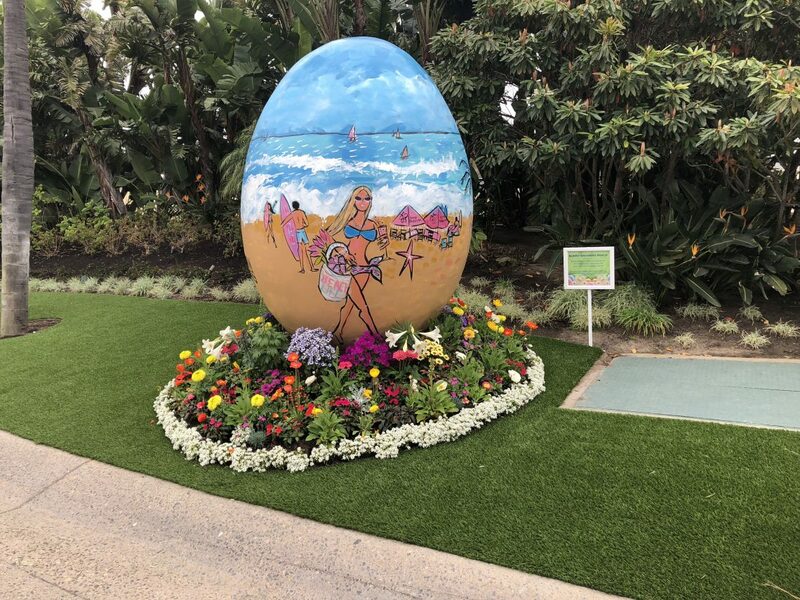 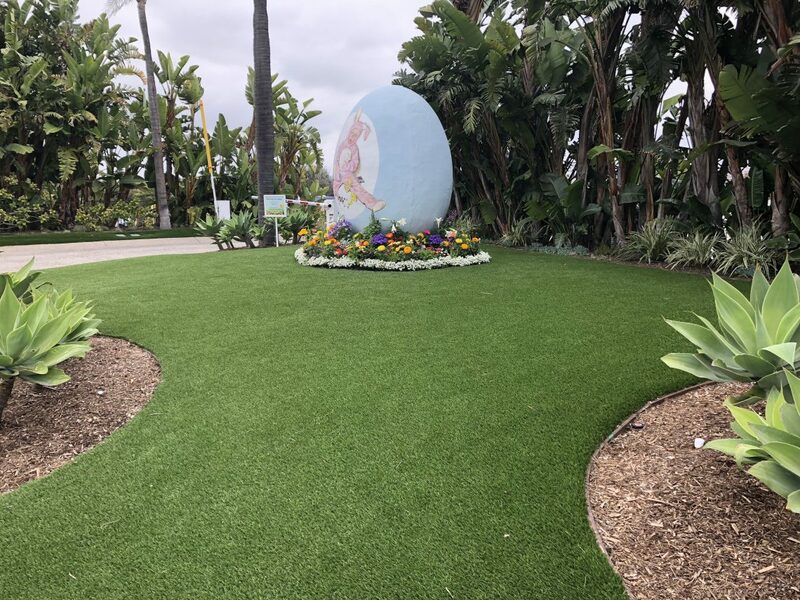 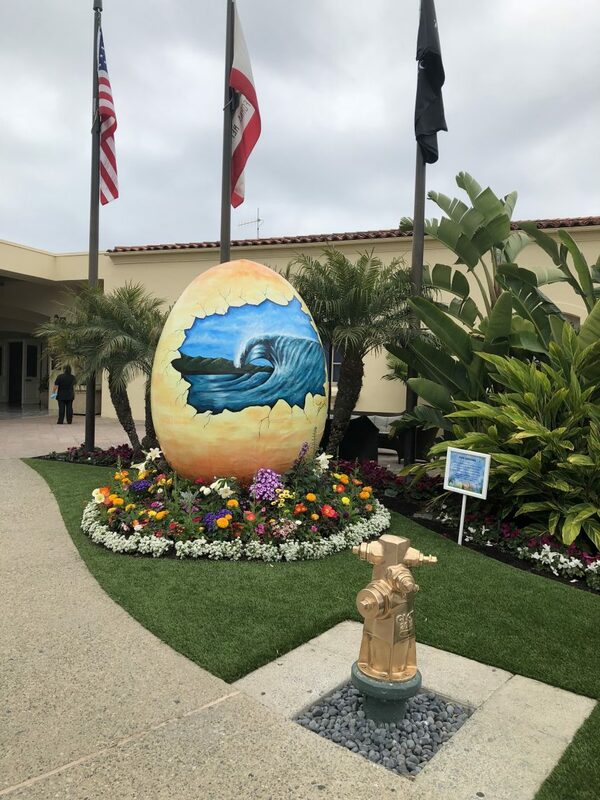 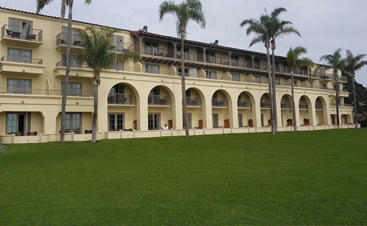 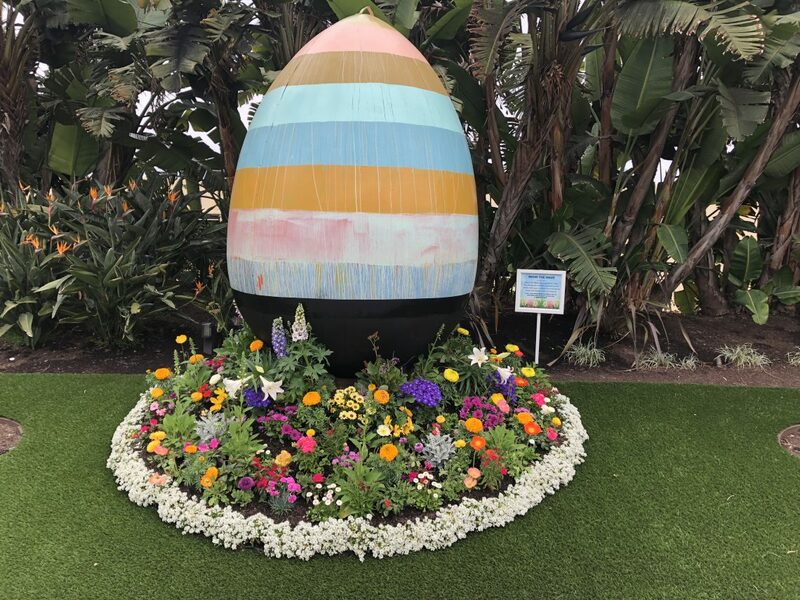 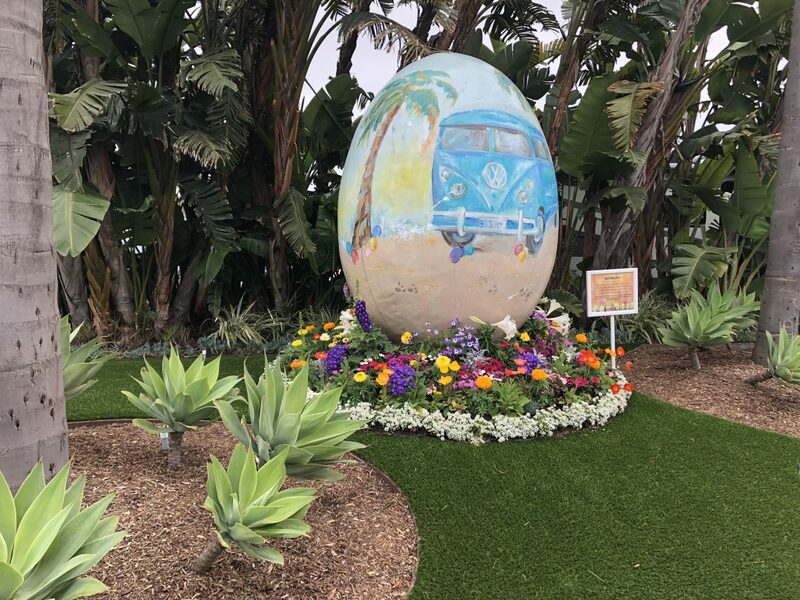 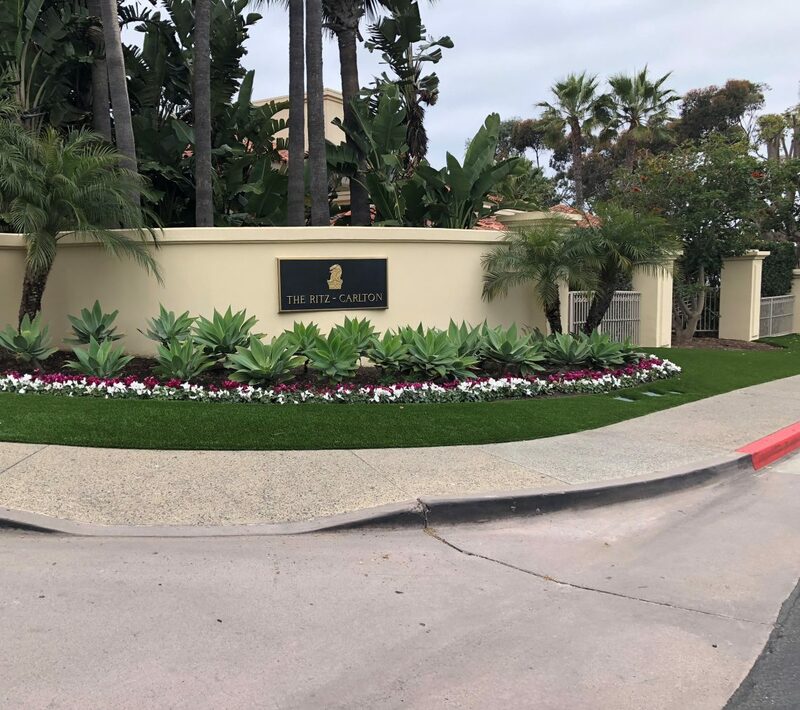 Another interesting product is the Eco-Lawn, a “specially designed blend of seven fine fescue grasses, grows to form a dense turf on loam, well drained clay and even in infertile, dry soils! 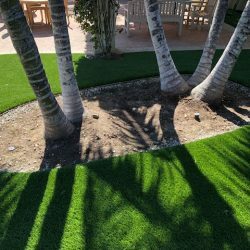 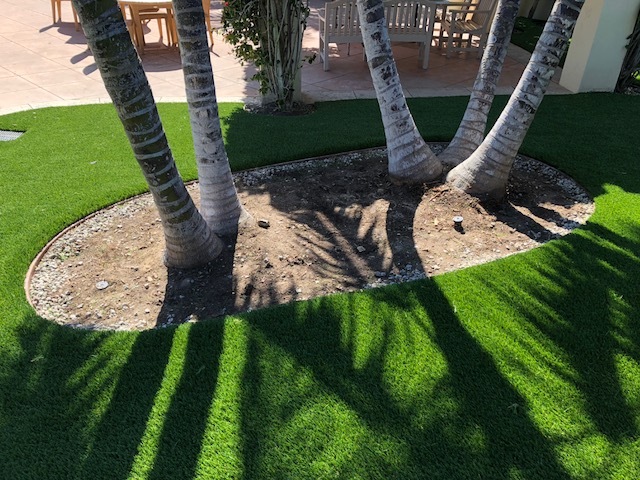 Eco-Lawn thrives in full sun, part shade and even in deep shade conditions.” It best installed in August and September- ” nature has programmed fewer weeds to germinate in fall, so your new Eco-Lawn will establish more rapidly, with less weed competition.” It needs no watering, no mowing and no fertilizer. 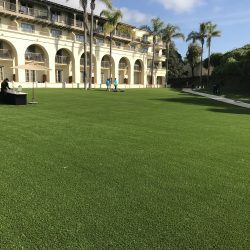 Sounds like synthetic turf but it’s real.